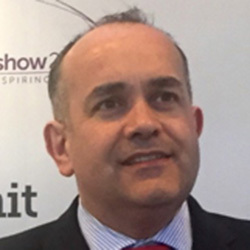 Patrick Hayes is the Director of the British Educational Suppliers Association (BESA), the trade association representing over 300 educational suppliers in the UK, including manufacturers and distributors of equipment, materials, books, consumables, furniture, EdTech, ICT hardware and digital-content related services to the education market. Hayes was previously on the executive team at TES Global, publishers of TES and THE and host to the largest network of teachers in the world. He had overall responsibility for M&A activity, investor relations and the TES Global advisory board. He is a columnist for Education Today and Huffington Post and writes widely for education publications. 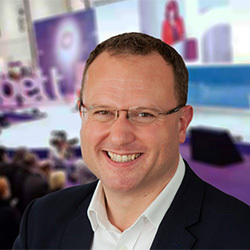 He is Chair of Judges for the prestigious Bett Awards and Education Resources Awards. In a voluntary capacity, he is a trustee of the non-profit Young Journalists’ Academy and an active supporter of youth-education charity WORLDwrite. He also sits on the Innovate My School advisory board. After qualifying as a teacher, I worked in East London schools teaching across the foundation and primary age ranges. After ten years, and having gained experience as an ICT coordinator, I joined a London LEA service as ICT curriculum adviser. After a break to look after my children, I returned to working in schools as a class teacher and also as coach/mentor to newly qualified teachers. I am currently the computing lead in a London primary school. Award-winning education blogger of ictevangelist.com, author, consultant, speaker and former school leader and teacher. Sophie Bailey is the founder of the iTunes new and noteworthy, The Edtech Podcast. The mission statement of The Edtech Podcast is to improve the dialogue between ‘ed’ and ‘tech’ through storytelling, for better innovation. The main audience are global education leaders, with a secondary audience of start ups, bluechips, investors, Government and media. The Edtech Podcast is downloaded 1500>2000 times each week, from 109 countries. Sponsors of the podcast have included Microsoft, Kano computing, Primo Toys, ClearlySo, and Firefly Learning. Sophie has spoken for the Department of International Trade, recorded LIVE podcasts, chaired events in Denmark, Norway and Utah and recently announced an official media partnership with SXSWedu, ASU GSV Summit and Bett. 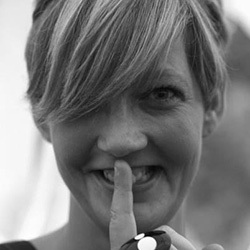 In her capacity as a consultant, Sophie has advised startups on product launch strategy. She is the organiser for a UK edtech start up meet up group of 1000 education innovators and she is the founder of the UK chapter of Edtech Women. 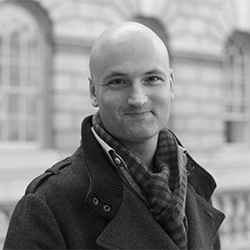 Kriss is the Business Programme Coordinator at UCL EDUCATE, the UK’s first research-driven Edtech accelerator where he mentors London-based Edtech companies. He also works with Ufi Trust helping to manage the VocTech Seed programme, which funds Edtech innovation projects that cater to adult education and developing workforce skills. Prior to these roles he worked as the lead Edtech specialist at Innovate UK delivering the “Learning Technologies: Design for Impact” SBRI funding programme and IC tomorrow, Innovate UK’s successful cross-sector digital innovation programme which identified industrial innovation opportunities and funded over 150 digital startups to pilot novel solutions in partnership with blue chip corporations, government, and other public sector bodies. 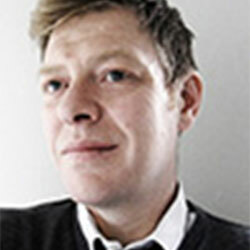 Miles is principal lecturer in Computing Education at the University of Roehampton. Prior to joining Roehampton, he spent 18 years in four schools, much of the time as an ICT coordinator and most recently as a head teacher. 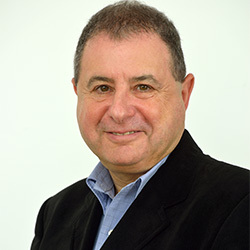 His research interests include the pedagogies of computer science education and informal learning. He is a former chair of Naace. He is a member the management boards of Computing At School and the Computer Science Teachers’ Association, and is a member of the Raspberry Pi Foundation and the BCS Academy Board. He is a fellow of the BCS, RSA and HEA. Over the years he has contributed to a number of computing related projects including: CAS’s computer science curriculum, the national curriculum computing programmes of study, the CAS / Naace guide to the computing curriculum for primary teachers, training of CAS Master Teachers, the BETT and ERA Award winning Rising Stars Switched on Computing, Barefoot Computing, Code Club Pro’s training materials, QuickStart Computing and resources for the BBC and Microsoft. Current projects include Hello World, a free magazine for computing teachers, and Project Quantum – a national item bank of computing questions. 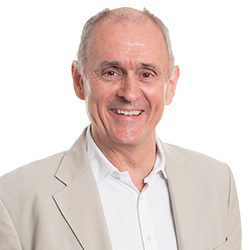 He gives regular keynotes and CPD workshops on computing and education technology in the UK and abroad and has worked on a number of international consultancy projects involving curriculum development and CPD. 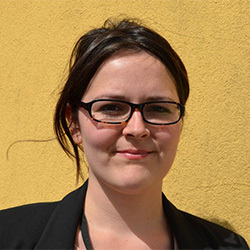 Justine was formerly the director of the Institute of Ideas Debating Matters sixth-form debating competition, and this year took up the role of director of Civitas Schools – an outstanding network of after-school and Saturday supplementary schools across London. Civitas Schools provides very low cost English and maths lessons to children who will benefit from extra educational support, but otherwise wouldn’t have the means to access private tuition. Justine believes in education and grappling with big ideas – and practised what she preaches by completing a degree in Classical Studies at Birkbeck College, University of London, as a mature student. She loves good food and hates food snobbery, and learned to cook at WestminsterCollege. Her greatest media claim to fame was being on Radio 4’s Woman’s Hour on the issue of ‘frugal food’, which made her Mum extremely proud. 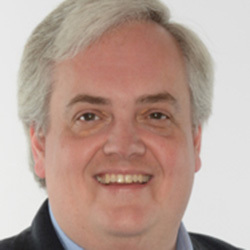 Lewis co-founded Espresso Education in 1996, the first digital curriculum subscription service. By 2009, 50% of the UK’s primaries were subscribers to Espresso, which had retention rates of 95%. The company also launched Clipbank online for secondary schools, with 1000 subscribing schools. Bronze remained with Espresso after its acquisition by Discovery Education, becoming Vice President for Content. Espresso won its first BETT Award in 2000, and eleven BETT awards in total. Bronze has been awarded both the ERA Outstanding Achievement Award and the BETT Lifetime Achievement Award. He was awarded the MBE for services to Education in 2013. The skills and experience Jason gained while working in film and creative technology industries, first as an editor, then as director, writer and project manager, spurred him on to pass those skills to a new generation. Teaching first at Post Graduate level he finally found the joy of primary school teaching and the power of helping to build the tools and love for learning in younger children. As a result, his experience in the creative tech industries and Computer Science background proved instrumental in helping make sustained positive impacts in children’s learning, personal and social development while working as a teacher. Whilst maintaining a philosophy of practice based on play, problem solving and creativity. His focus now is on how technology can connect and engage children in their learning, drive up standards and support the professional development of teaching teams and school leaders. While remaining able to plan and deliver their own creative curriculum in new and impactful ways. By exploring the potential of new technologies, he has been able to provide schools with the expertise they require to ‘future proof’ teaching and learning to engage and inspire children to achieve their very best. At the same time teaching them the learning skills needed for the 21st Century. 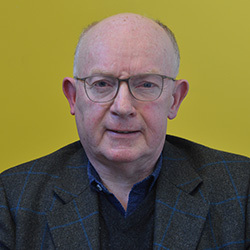 Director, Consultant Publisher, Frattempo Ltd.
Gill is the director of Frattempo Ltd which is a consultancy business specialising in educational and publishing services within the industry. 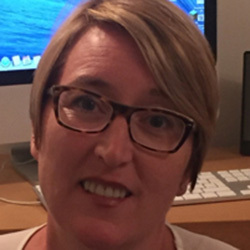 She has over 20 years’ experience of industry research, content creation and curation and delivering training both in the UK and internationally. Before establishing Frattempo, Gill was an in-house educational publisher for 14 years, and before that, an early years and primary teacher/adviser, specialising in English language development. She has developed, written and published many outstanding and award-winning print and digital resources with industry partners. She is a secondary school governor within a MAT and supports the EDUCATE programme. Gill contributes a unique blend of classroom practicality, an understanding of school leadership issues, commercial reality and business acumen to the judging team. George Burgess was the Founder of Gojimo, the UK’s most popular app for exam preparation used by 1 in 3 exam takers, which was acquired by The Telegraph Media Group in March 2017. Listed in Forbes’ 30 Under 30, Burgess is only 25 years old and originally founded Gojimo when he was just 17. 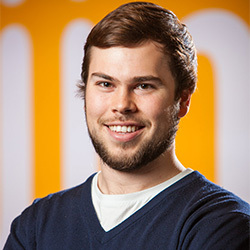 Burgess dropped out of his undergraduate degree at Stanford University to pursue the company full time in 2013 and raised over $3 million in seed capital from the likes of Index Ventures and the Innocent Drinks founders. Burgess continues to consult for the Telegraph and also runs the EdTech Exchange – Europe’s largest community of edtech founders. 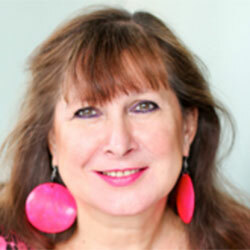 Andrea has worked in the education and publishing industries for over 30 years. 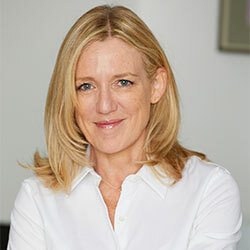 In 2002 she founded educational publishing company Rising Stars specialising in the creation of books, digital content and online services for schools. It grew to become one of the largest education publishing businesses in England and it was acquired by Hachette UK in 2015. 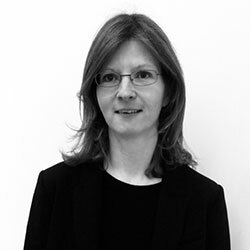 Andrea was BESA chairman from 2010-2013 during which time she oversaw the introduction of the BESA Launchpad service for fledgling edtech companies. 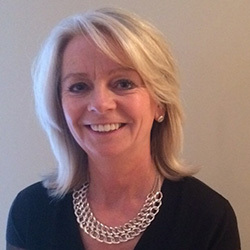 She continues to supports a range of education technology businesses with their strategy and business planning. 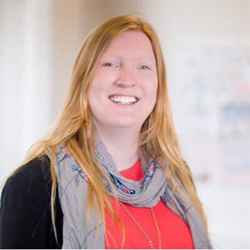 She has recently become chairman of Sumdog, an educational gaming platform and is now trustee of educational charity Causeway Education that supports more able disadvantaged young people. In her spare time she produced a new music festival in south London this summer. Andrea was awarded the Outstanding Achievement Award at the BETT Awards in 2017. I have been the Headteacher for 12 years at Bacon Garth Primary School. I have also undertaken a PE Advisory Teacher Secondment for 18 months with the East Riding of Yorkshire Council. My current school has recently (Dec 1012) been graded as Outstanding by OfSTED and Leadership and Management were graded as Outstanding. Management and Leadership of Educational ICT and ICT to support the effective running of the school is highly effective. I am a designated National and Local Leader of Education and support schools in vulnerable and challenging circumstances. In all my school roles, I have been the ICT Co-ordinator and responsible for the planning, standards and resourcing of ICT in school. This has included full ICT suite refurbishment and development, the writing of new ICT schemes, the development of ICT links with other curriculum areas etc. etc. As the Headteacher, I am also responsible for the overall strategic direction and use of ICT in school, including educational and school management use of ICT and the financial implications of these decisions. I have previously had experience of judging for the ICT awards, mainly in the primary and early years sections. Mark is currently a portfolio worker and divides his time between supporting schools and trusts with leadership challenges, start up companies looking to engage with the education market and education charities. Mark is a former CEO of Naace, a Local Authority Service leader, and a holder of numerous leadership positions in schools. Mark has consulted with and provided advice to the DFE EdTech, IT and Computing teams over a number of years and has supported the DFE and InnovateUK with bid assessment and evaluation. Mark is a passionate advocate for the appropriate use of Tech in Education and having coined the term #EdTechWorks has been setting about demonstrating this to be the case as a Director of TheETA and in as many settings as possible! For ten years, James was a teacher and senior leader at an outstanding school in London. He also worked as a local authority lead teacher. 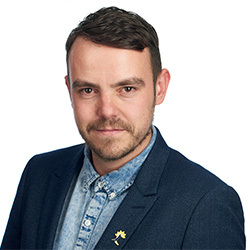 Now James is an education writer, researcher and school improvement adviser, working with local authorities and groups of schools across the country. He was also a member of the DfE’s English Subject Expert Group. In his spare time, James is the Chair of Governors at a primary school in London. I celebrate my 20th year in education this year and currently I work as an e learning adviser for Link2ICT, in partnership with Birmingham Authority. I am passionate about the use of technology to enhance learning. I qualified as a primary school teacher and spent 14 years teaching in a large inner city primary school in Birmingham. The school became very successful at using technology to support learning and I had the opportunity to become involved in many projects both nationally and internationally. I also taught the PGCE ICT programme at Birmingham City University from 2005-2010. I support schools across the West Midlands to encourage them to use technology helping them make best use of technology in school. 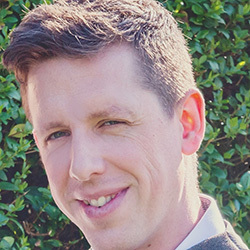 Michael is the founder and managing director of Innovate My School, a multi-platform community-driven organisation showcasing the latest education innovation from teachers and industry experts around the world. Michael has been working in education for over 11 years, from managing the IT systems at his Dad’s secondary school to entertaining clusters of headteachers through his innovation speed dating events programme. Michael’s unique position gives him unprecedented access to the latest tools and trends emerging from the sector, and how they can positively impact teaching and learning in schools. 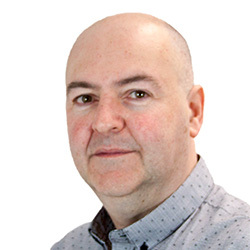 John Galloway is a specialist in the use of technology to improve educational inclusion, particularly for children and young people with special educational needs. He works for Tower Hamlets as an Advisory Teacher, and as a freelance consultant, trainer and writer. He works with all phases of schools and with learners with the broadest range of SEN. He has spoken about his work at conferences across the UK and internationally, and is widely published as a writer, including several books, most recently co-authoring ‘Learning with Mobile and Handheld Technologies’ – winner of Best Book in the 2015 Technology and Innovation Awards. I began my career in 1989 at Hill View Primary School in Oxfordshire where I discovered the love and passion of Teaching. Since then I have had the amazing opportunity of working in a variety of different Primary Schools in Staffordshire, Birmingham and Walsall. In 2000 I gained my first Headship of an Infant School in Staffordshire and 2003 became Head teacher of Lindens Primary School, Walsall. I have been involved in education for over 30 years. I started in the education section of the Architects Department of the Greater London Council before becoming a Special Needs Assistant at a secondary school while raising my family. Further roles included community and family learning, International School Links, Education Business Partnership steering group membership and a founding member of our local confederation of schools. I helped set up and manage the school’s Maths and Computing Specialist School programme. I am currently Learning Resource Centre Manager and Careers Coordinator. I am also a school Governor and Academy Director. He has had extensive experience in schools and colleges as a teacher,lecturer senior manager, Principal and Governor. 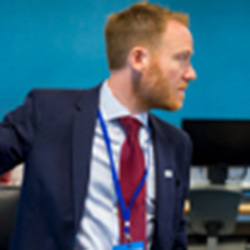 He has worked with Head teachers and senior leaders in developing leadership skills for the National College of Teaching and Leadership and advised DfES on the FE Principals Qualification. Bob is also Chair of Governors at Northern College and Vice Chair of Governors a Trafford school. He has been Toshiba’s Education Adviser for 16 years and is a writer, presenter and researcher on mobile learning, digital technologies and next generation learning. He is a Board member of the UfI Trust, YMCA Training and Awards and is a Judge for the BETT Awards and TES FE Awards. Bob has recently been invited to join the BIS FE and Skills Area based review advisory group trying to reshape the FE landscape towards a more digital future. 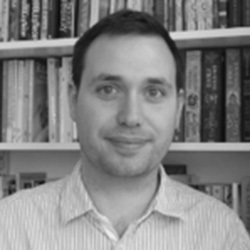 Nick Joseph is a qualified secondary teacher, with a PhD in medieval European history. Before moving into secondary education, he taught in the HE and FE sectors, and mentored disadvantaged learners across the age range from eleven to post-retirement. He has also worked in an IT company specialising in software for schools. Ian Koxvold leads the PwC Education Strategy team, who focus on commercial challenges for educational institutions and for those that sell them goods and services. He has been a strategy consultant for about 20 years and has been focussed on the education space since 2008 – and has delivered about 175 projects in the sector since then; typically relating to growth strategy, entering new markets, coping with extreme change, or mergers & acquisitions. 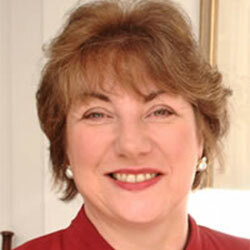 Rose Luckin is Professor of Learner Centred Design at UCL Knowledge Lab in London. 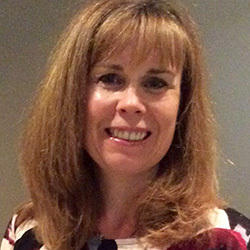 Her research involves the design and evaluation of educational technology using theories from the learning sciences and techniques from Artificial Intelligence (AI). She has a particular interest in using AI to open up the ‘black box’ of learning to show teachers and students the detail of their progress intellectually, emotionally and socially. 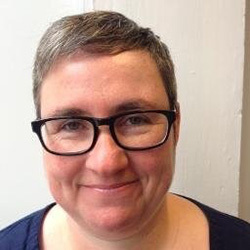 Rose is also Director of EDUCATE: a London hub for Educational Technology StartUps, researchers and educators to work together on the development of evidence-based Educational Technology. 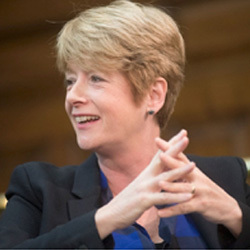 Rose is lead author of Nesta’s influential ‘Decoding Learning’ report published in 2012 and Pearson’s Unleashing Intelligence, published in 2016. She is a UFI charity trustee, a governor and trustee of St Paul’s school in London and a governor of the Self-Managed Learning College in Brighton. She has taught in the state secondary, Further Education and Higher Education sectors, and she was previously Pro-Vice Chancellor for Teaching and Learning at the University of Sussex. A former teacher, Sal is now a freelance journalist writing about education, disabilities and technology. She covers all aspects of special needs from dyslexia to physical disabilities, deafness to mental health issues, and the ways in which technology can level the playing field for young people who struggle to achieve in school, college or the workplace. Sal is editor of the ATEC newsletter, a specialist publication about assistive technology in colleges and universities, and visits outstanding special schools on behalf of The Good Schools Guide. 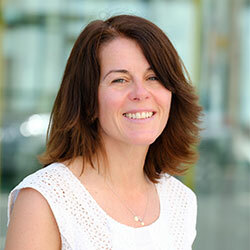 Dr Ruth Mieschbuehler is Programme Leader for Education Studies in the College of Education at the University of Derby. She teaches several modules and supervises both postgraduate and doctoral students in education. Previously she taught for five years in the Swiss further education sector. Ruth is the main author of World-Class Apprenticeship Standards: Report and Recommendations a research report, commissioned by Pearson Education. A book based on her PhD will be published next year, The Minoritisation of Higher Education Students. As an Executive Committee Member of the British Education Studies Association (BESA) she promotes the development of the subject nationally. 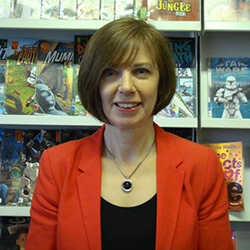 Ann Mroz is digital publishing director and editor of TES. She was previously editor of Times Higher Education. Phil taught Maths & Physics for 12 years – first at Luton Sixth Form College and then at Lea Manor High School. It was in 1983/4 whilst he was working at Lea Manor that he started to create what became SIMS, the information management system that is currently in use in 80% of English, Welsh & NI schools. In 1994 SIMS was acquired by Capita and Phil continued to steer SIMS until 2017. He is now a non-executive at SIMS and the commercial director for Whizz Education which is particularly active in improving education in emerging countries. Working with some of the most exciting and high-growth companies in the education space, Natalie specialises in digital marketing, product development, and sales strategy through her company Edtech Mark. From KS1 to higher ed, Natalie gets excited about bringing the best in education technologies to the end users: students and staff. 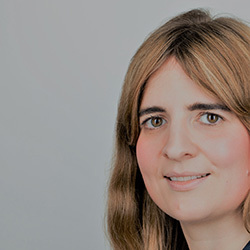 QTS and QTLS qualified, her career started at the German Ministry of Education and includes a subject leader position at an east London college. More recently, Natalie was awarded the 2017 Learning Partnership Award for ‘Most Successful Technology Project’. This involved the development of an ambitious BYOD project within a department with limited computer access. With a long-time interest in education technology, Natalie is a keen contributor to Education Technology Magazine, University Business Magazine, Huffington Post and TES. She has worked with educational companies of all sizes across all sectors, including NetSupport School, Kortext, Unio By Harness, Turnitin, RefME (now Cite This For Me), YourTutor and Firefly Learning. 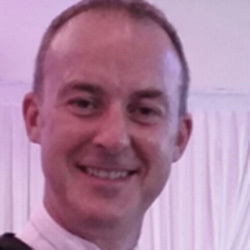 Dominic Norrish (@domnorrish) is a former history teacher, school leader and educational technology consultant and is currently the Group Director of Technology at United Learning, a national group of over 50 maintained and independent schools. Prior to this he worked for an academy trust where he implemented a 1-to-1 strategy and is now involved in similar projects in several United Learning schools, utilising iPads, Chromebooks and Android tablets. 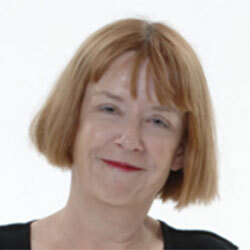 Dr Christina Preston has been active in the EdTech field since she founded the MirandaNet Fellowship (mirandanet.ac.uk) in 1992. The Fellowship is a global thought leader with over 1,000 members in 80 countries. Members’ research into the impact of technology and learning and run action research CPD programmes developing communities of practice. MirandaNet practice based research has been funded by the European Union, charities, government agencies and associate companies who are keen to working in partnership with practitioners. 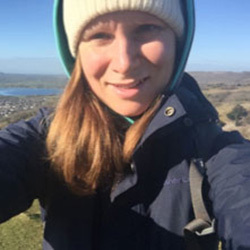 A former English teacher, Cat’s roles have since focused on supporting teacher development both online and through face-to-face activities, with a particular focus on development through collaboration and through engagement with research and evidence. She has worked as a teacher and advisor in the state and independent sector, as well as in corporate learning and development. Cat leads on the Chartered College Of Teaching’s work around teacher CPD, including the Chartered Teacher programme, and their research activities and publications, including their termly peer reviewed journal, Impact. In addition, Cat is a studying for her doctorate at the UCL Institute of Education. 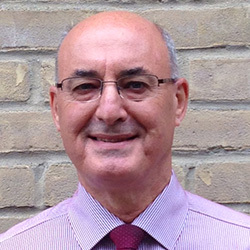 Dave Smith is a local authority senior inspector, providing school improvement support for schools in London and beyond, as well as leading on Traded Services for the Havering Education Services School Improvement team. He has spent the past 18 years specialising in computing, education technology and online safety support for schools and is a CEOP Online Safety Ambassador. 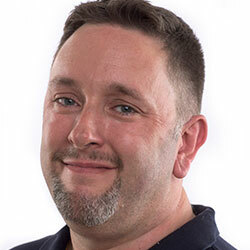 Dave is part of the Havering team who have worked with Rising Stars to develop the Bett Award winning ‘Switched on Computing’ series (in over 6500 schools in the UK and internationally). He recently worked on the education technology aspect of the U.K. Government’s Department for Education’s Workload Reduction Toolkit. He is the former Chair of the Board of Management of Naace – the UK’s Education Technology Association. He is also a judge for the Bett Awards and Education Resources Awards. Dave enjoys exploring education technology internationally – addressing Japan’s New Education Expo conference on two occasions, participating in the USA’s ISTEconference, as well as providing education technology consultancy in the Middle East and Europe. He was previously a teacher/senior leader in 3 schools, governor of 4 schools and Assistant Marketing Director/Senior Tutor at Anglia Ruskin University’s mPowerNet ICT Training for Teachers. An experienced teacher of many years his recent responsibilities have included project managing two multi-million pound building projects for new learning environments. 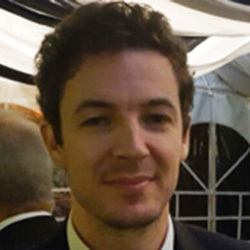 Benjamin is a Partner at IBIS CAPITAL (London), leading European investment and advisory firm specialized in Media and Education Technology. 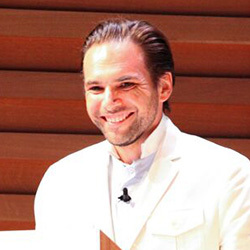 Benjamin is also CEO and co-founder of the EdTechXGlobalconference series (edtechXEurope, edtechXAsia) for thought leaders, innovators and investors. He also the founding chair of the London Edtech Week in 2017 and serves as advisor for SXSW Edu, world’s largest conference on Innovation in Education. Benjamin is non-executive Chairman of Primo Toys, an early year education technology company backed by Arduino founder and the Zuckerberg family. Benjamin also serves as a Member of the Board of Trustees at French International School in London, College Francais Bilingue. Formerly Europe’s Head of Strategy, Business Development and New Ventures for Time Warner, Benjamin directly managed the expansion of a portfolio of News, Entertainment and Kids, (CNN, Cartoon Network) medias properties spanning across 25 countries and totaling 650 M euros in revenues. He is a graduate from Babson, ESCP Europe and The University of Texas at Austin. 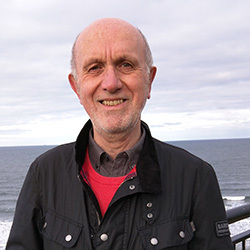 David Waller is an experienced computing teacher and author. A former ICT Director, David has taught at KS3, GCSE, A Level and vocational qualifications such as GNVQ and DiDA. He has authored 17 published computing titles including textbooks, teacher resources, revision materials, online publications and interactive activities. 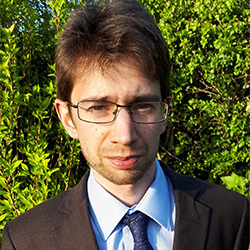 He has recently written two text books for Cambridge University Press based on examination board specifications for the new Computer Science GCSE and contributed to a third. He has also authored revision guides and workbooks for the same specifications. David has always believed computational thinking and programming are vital as they allow students to develop problem-solving skills and an ability to express solutions clearly and creatively – similar to writing a story, a poem or composing music. David is a keen allotmenteer and Middlesbrough supporter. 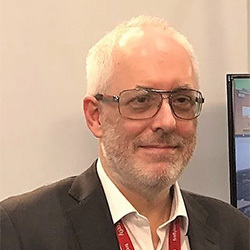 Philip Walters is Chair of Impero Software, one of the leading providers of network management for schools in the UK, the US, and around the world. 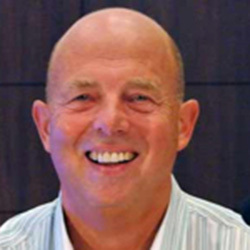 He is also Chair of EdComs, the leading educational marketing services business in the UK. He is a member of Investcorp Europe’s Advisory Board, and was formerly CEO of Hodder Education, as well as Chair of Rising Stars and G L Education. 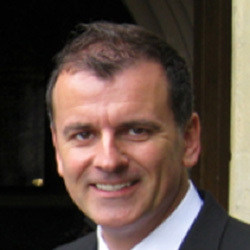 He was awarded an MBE for services to educational publishing in 2010. Henry is a multi-award winning innovation expert and entrepreneur specialising in Education Technology. Through his company, Henry works with a wide range of companies, charities and philanthropists to launch new education-based businesses around the globe – he has now run projects on all seven continents. Over the last year Henry has spent much of his time working (via his company) for His Highness The Aga Khan, rethinking the technology strategy for his 200+ schools in Asia and Africa. Prior to this, Henry led Innovation for the Core markets of Pearson plc. Where he pioneered amongst other things; Virtual Reality Based Training, mobile learning in emerging markets and Flipped Vocational Learning. Before that, he was Head of Innovation at GEMS, the UAE based schools group. He started his career at 18 years old running the social enterprise Gemin-i which in turn created one of the world’s largest online communities of schools; Rafiki. Henry also is an advisor & board member to a number of companies/charities. He’s a dad of three and is the alter ego of Barry T Tooth Fairy. Henry holds one of the more stupid Guinness world records and has also rafted the Nile holding a london traffic cone. Alex has been a civil servant for the last 7 years since leaving a career as a synthetic chemist in 2009. 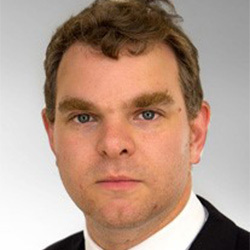 He currently leads the Education Technology team in the Department for Education, and has done so since its inception in 2016, joining the department from a role working in technology policy in the Cabinet Office. The team covers all use of technology in through life education, but focusses much of its time on working to reduce the hurdles and barriers to adoption of technology in schools, as well as supporting the DfE to see opportunities for technology to help solve existing challenges. Alex has been truly impressed by the great practice and products out there, but Government should now be playing a greater role alongside the sector in supporting realisation of the opportunities for technology more widely. Having worked in the EdTech sector for over 36 years, Steve has a wealth of experience implementing and using technology in the classroom. The last 18 years have seen Steve spend a large proportion of his time travelling outside the UK, learning about the education systems of many countries in the Middle East, Asia the Americas and Europe. As a result he can offer insight into how the issues facing today’s educators are being addressed all over the world. 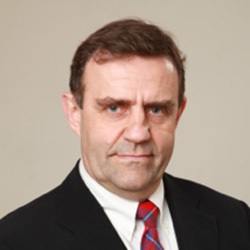 Steve was a member of the BESA Executive council from 2013-18 and vice chair of the Export Special Interest Group. Bukky Yusuf is a Secondary Science teacher, Science senior leader and consultant. She has spent over a decade in London schools, teaching Science, A level Chemistry and Level 3 BTEC. In her previous school leadership role, she led whole school Ed Tech programme to enhance teaching & learning. 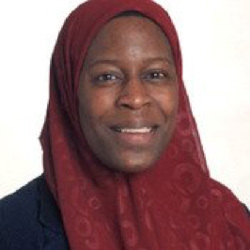 As part of her commitment to increase diverse leadership within education, Bukky uses social media to participate with a number of initiatives including WomenEd and BAMEed. She is a London Regional Leader for WomenEd and is registered as a leadership coach in programme run by the Department for Education. She presents at regional and national conferences to support the development of educators at all levels. She also champions grass root projects that help colleagues maintain their well-being. Bukky is a prolific member of the Twitter community (@rondelle10_b) and regularly blogs.